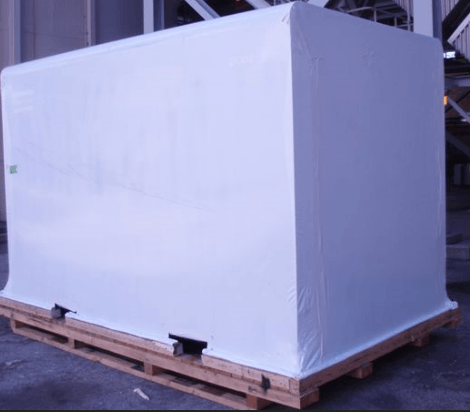 Pro-Tect’s skilled installation crews combined with our specialized materials can provide durable protection for your products, pallets, materials, pods, vessels, piping, equipment and more. We can provide the heavy duty coverage you need to ensure your items make it through the entire transportation process. Our weatherization and protection system keep your product safe from the weather, salt, road grime and other foreign materials that transported loads commonly come in contact with. Pro-Tect Services is a proud distributor of ZERUST products; and we can incorporate these corrosion preventative materials when necessary. Our services are available at your facility, yard, warehouse or even on the road. 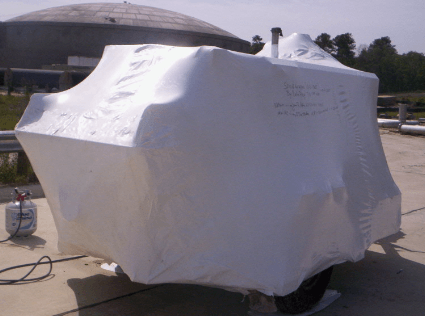 We can shrink wrap items that are on 18-wheelers, trains, wrap direct pull-behinds and more. Planning to ship your item? Need custom access points? No problem, we can also install access panels at lift points and zipper doors for inspection or ease of entry. No matter your transportation needs, we have you pro-tected!